Children are particularly vulnerable to the persuasive powers of food marketing. It greatly influences their food preferences and consumption. They are surrounded by it online, while watching TV, using apps and playing games, supermarket shopping and playing sport. This is no accident. The food and beverage industry spends millions of dollars each year targeting children because it works. 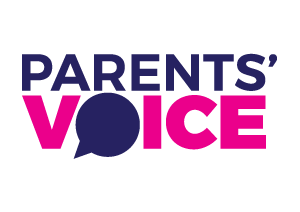 Children not only influence family purchasing decisions, they will soon become valuable independent teenage and adult consumers. Most food marketed to children is unhealthy which is why kids pester parents to buy junk food rather than fruit and vegetables. The influence of junk food marketing has no doubt contributed to 1 in 4 Australian children being overweight or obese. 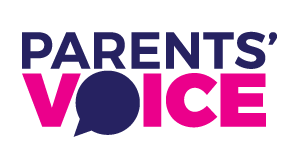 Join the Parents’ Voice Food Detectives campaign. Let us know about kid’s snacks and drinks that you suspect are junk foods disguised as health food. Tell us about a healthy sponsorship deal your club has forged with a local business so we can give them a shout out. We usually associate sport with a healthy and active lifestyle but food and drink companies frequently use sport to promote unhealthy food to kids. Australian children are not protected from unhealthy food sponsorship at any level or age group and this needs to change. Sports clubs and associations do a great job providing Aussie kids with sporting opportunities but they also have a responsibility to children to provide positive messages about nutrition. Due to limited funding avenues for children’s sport, clubs often resort to sponsorship from junk food and drink companies. The result is that children receive contradictory messages that encourage unhealthy eating behaviours. Food and drink companies promote to children through sport in a variety of ways. It is not just sponsorship of children’s sport that influences our kids. Some brands spend hundreds of thousands of dollars each year sponsoring big league sport at a national level. You can imagine the appeal for your child in a particular food or drink if their favourite team or athlete promotes it. If you are a business looking to sponsor children’s sport, firstly you are awesome! Secondly, please contact us and we will put you in touch with the right people. Do you have any other suggestions? Log onto our Facebook page or contact us and tell us your ideas. Share your tips for combatting Pester Power. Some members of the food industry will try to pass the blame to parents. They say parents should just say ‘no’ when kids pester for unhealthy food or that parents need teach their kids to adopt a healthy balanced diet combined with exercise. As parents we accept that this is mostly our responsibility. But it is not that simple.  It is extremely difficult for parents to override the sophisticated marketing messages that kids are bombarded with every day. We need to reduce children’s exposure to junk food marketing to even the playing field. Let your kids take part in the grocery shopping by asking them to pick out healthy foods or collect the ingredients for a healthy meal. Be a good role model. Buy, eat and prepare foods that you want your children to eat. Talk about advertising and marketing tricks with older kids. Got some more to share with us? We’d love to hear from you. Do you have any other suggestions? Log onto our Face book page or contact us and tell us your ideas. Is their an ad, app or promotion that you feel is promoting junk food or unhealthy beverages to your children? Tell us about it and we will help you hold the advertiser accountable. The regulatory system for food and drink marketing to children is complex and does not adequately protect our kids from the large amount of persuasive food and drink marketing. Most Australian food and beverage companies claim to market to children responsibly however, the regulation of this practice is jointly administered by the television, advertising and food industries. Unfortunately, industry self-regulation is not working. The World Health Organisation is calling for governments to step in restrict junk food marketing to kids to help curb childhood obesity. Only further regulations will sufficiently change the food marketing environment to reduce the negative influence on children’s eating habits. a ban on all television advertisements for unhealthy foods during children’s peak TV viewing times (from 6-9am and 4-9pm on weekdays, and 6am-12pm and 4-9pm on weekends). restrictions on other forms of marketing unhealthy foods and drinks to children, including endorsements by celebrities and characters, premium offers (such as collectable toys or on-pack competitions), cinema, print and online advertising. Helping us to expose the marketing tactics of the food industry by nominating an ad or campaign for our annual Fame and Shame Awards. To review past ‘winners,’ check out our Hall of Fame and Hall of Shame.